1) Quality of Action: Maximum explosiveness. 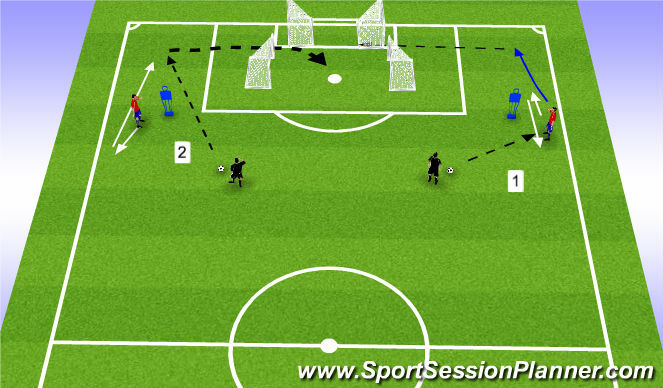 Coach provides service to red player (use variety: on ground, in air, 1st leg, 2nd leg, etc.) at which time white defender can leave. 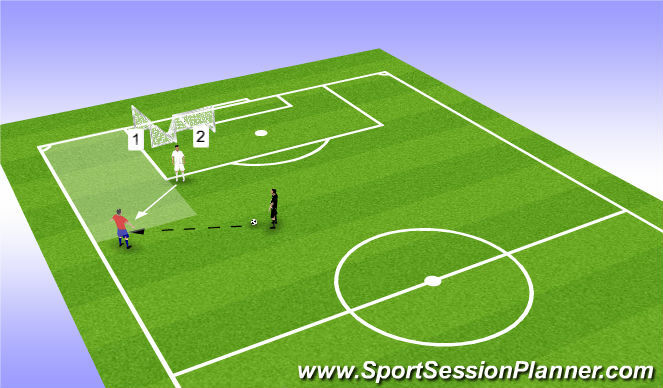 1v1 fully opposed, Red can score by simulating cross into goal 1 or cutting in to simluate finish on goal 2. 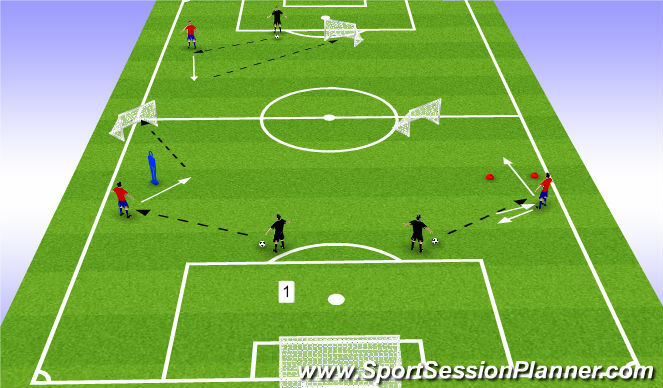 Coach serves to winger. CM can support or leave for 1v1. 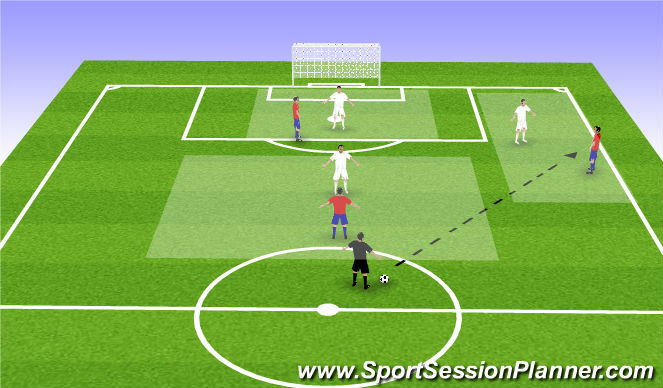 Winger can beat defender or combine to create 2v1.